Humans have amazing eyesight. In fact, many camera companies have looked to the eye in an effort to glean useful information in developing better photographic and video technology. As effective as the human eye is, however, there are certain things it cannot do. One of those is to detect ultraviolet light. But researchers have recently discovered a creature with the amazing ability to detect ultraviolet light—the mantis shrimp. Mantis shrimp are some of the most interesting creatures in the water. They have extremely powerful claws and lightening fast reflexes. But their ability to see ultraviolet light makes their eyesight one of the most remarkable abilities in the animal kingdom. Michael Bok, one of the researchers studying mantis shrimp vision stated: “The overall construction of the mantis shrimp’s visual system is just so unbelievably ridiculous, so this is just another piece of that tapestry” (Pappas, 2014). What makes their vision “unbelievably ridiculous” is that they have 12 photoreceptors in their eyes, while humans only have three (2014). 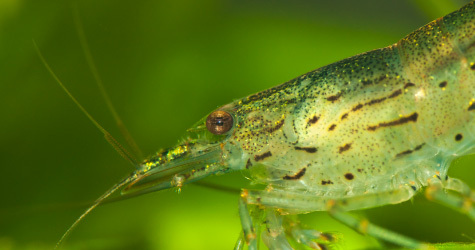 Another interesting element to their vision is that the shrimp uses amino acids that act as sunscreen in their eyes to help them see ultraviolet light. The design behind mantis shrimp vision, according to those doing the work on it, is “unbelievably ridiculous,” meaning of course that it is so advanced that it takes a team of researchers just to try to understand it, much less figure out a way to copy the technology. Those who contend that the mantis shrimp is a product of evolutionary changes that have taken place over millions of years cannot explain how such advanced capabilities could reside in the shrimp. No amount of mindless tinkering could produce such highly sensitive instruments as mantis shrimp eyes. The most reasonable explanation for mantis shrimp vision is that an intelligent Creator, Who sees all things (including ultraviolet light), designed the shrimp and its complex eye. When brilliant human researchers come away from such “technology” in awe of the abilities of mantis shrimp vision, the obvious conclusion to draw is that the Designer of such vision possesses an intelligence far superior to that of the humans involved in the research. When the Proverbs writer stated: “The hearing ear and the seeing eye, the Lord has made both of them” (Proverbs 20:12), that would certainly include a “seeing eye” that uses amino acids as sunscreen and 12 photoreceptors to see light that humans cannot. Pappas, Stephanie (2014), “Natural Sunscreen Explains Mantis Shrimp’s Amazing UV Vision,” LiveScience, http://news.yahoo.com/natural-sunscreen-explains-mantis-shrimps-amazing-uv-vision-200152964.html.